This website disclaimer is a simplified version of our standard website terms and conditions document. Provisions subtracted from that document to create this one include the user-generated content provisions and the website account/password provisions. 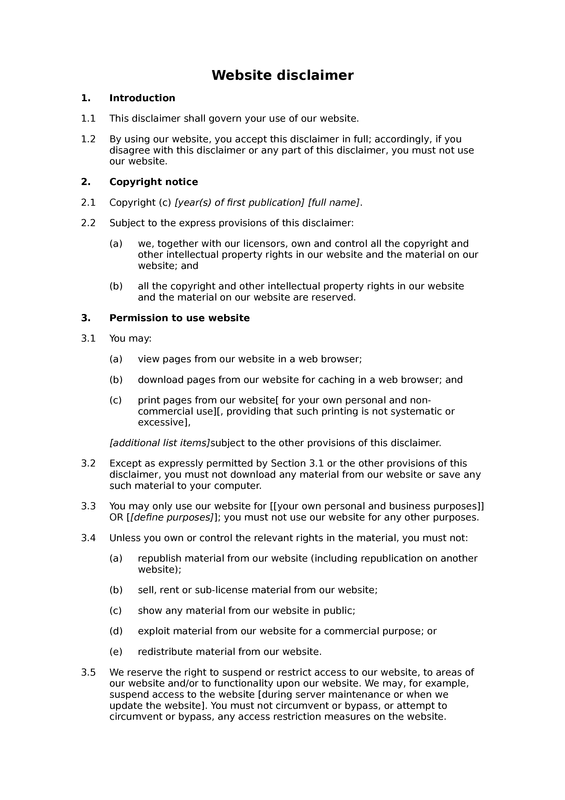 Although this document is named "website disclaimer", it could just as well have been called "website terms and conditions". The document may be suitable for very simple websites which display information but do not do much else. For example, it will be unsuitable for websites selling anything or enabling users to publish content or providing sophisticated web services to users. 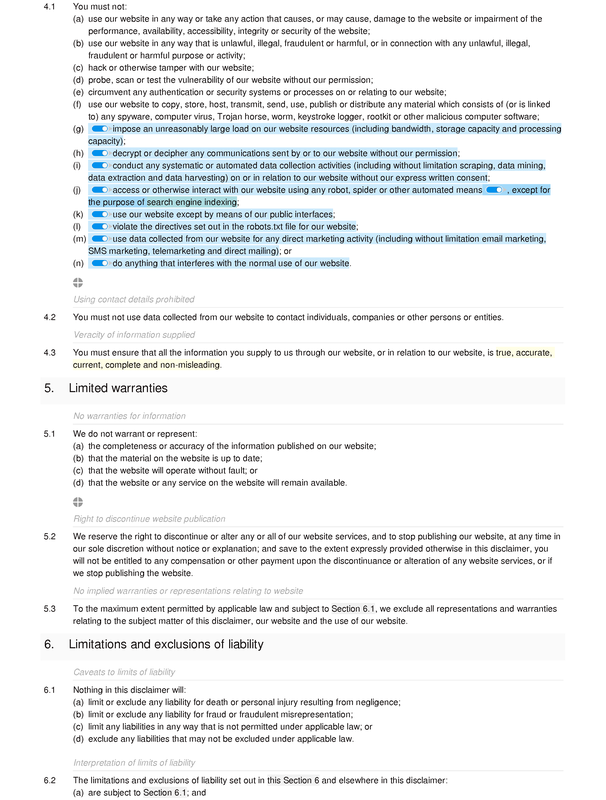 Introduction: document governs website use; consent to website document: implied; cookie consent. Licence to use website: licence to use website (basic); no downloading; website use: permitted purposes; limitations on licence to use website; restriction of access to website. Limitations and exclusions of liability: caveats to limits of liability; interpretation of limits of liability; no liablity for free information or services; no liability for force majeure; no liability for business losses; no liability for loss of data or software; no liability for consequential loss (non-contractual notice); no personal liability. Variation: document may be revised; variation of website document (basic).